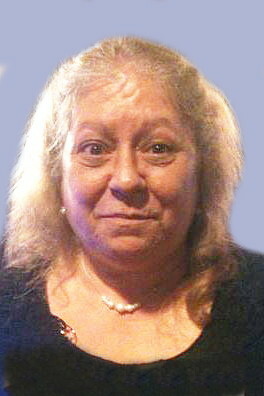 Sally May Olds, age 63 years, a native of Highgate Springs and more recently of St. Albans City died unexpectedly, Friday, March 17, 2017, her Federal Street home. Born in St. Albans, on, July 1, 1953, she was the daughter of the late Leon and Alda (Bockus) Olds and was a 1971 graduate of Missisquoi Valley Union High School. Sally’s hobbies included reading Danielle Steel novels and knitting. She leaves her only child, a daughter, Dawn LaPan and husband Jason; a brother, Lee Olds and his wife Lori; a sister, Faye Pelican and her husband Terry Lamos all of Highgate Springs; a sister-in-law, Debbie (Bockus) Olds; two grandchildren, Camden and Jadyn LaPan as well as several nieces, nephews, aunts and uncles. Besides her mother and father Sally was predeceased by a brother, Harold “Dukie” Olds and a nephew Harold Olds III. At Sally’s request there will be no calling hours. Funeral services and interment will be private and at the convenience of the family. Arrangements are under the direction of The Kidder Memorial Home, 89 Grand Ave. Swanton.